It is the first day of 2017 – a day filled with new hopes, new goals, and new intentions. I’ve taken quite a break from blogging. My last regular post was mid-November, and I have not participated in the Sunday Salon since August! This was not a planned break, but apparently one I needed to take. While I do not believe in making resolutions (why set myself up for failure? ), I have made a list of intentions to focus on this year: intentions for mental health, physical well-being, and vocational growth. To that end, I want to be more intentional with my blogging in 2017. I hope to adopt the mindset of a “serious” writer, and regular blogging is key. I also want to read more fiction in 2017. My GoodReads Challenge goal is to read 52 books in 2017 (a book a week is a good pace for me) – but I want to refine that goal even further. I want read at least one fiction book a month, and I want two of those to be classics. I hope this Sunday Salon space will keep me accountable. For the first intentional post of 2017, Sheila of Book Journey has provided the perfect prompts to get me back into the blogging groove again. 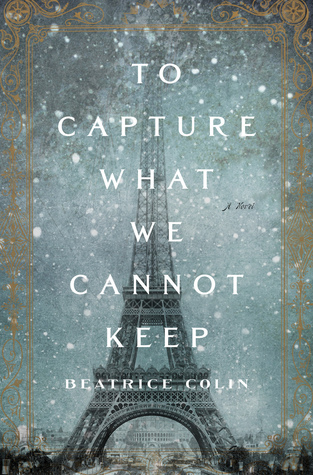 My first book of the year is one I started this weekend, but will probably not finish until early next week: To Capture What We Cannot Keep by Beatrice Colin. This is on the heels of reading The Light of Paris by Eleanor Brown – my final book of 2016. It is no surprise to anyone who is a regular reader of this blog that I adore Paris. Ms Brown’s book was the perfect book at the right time for me. I rarely give five stars, but I was completely captivated by the dual storylines set 75 years apart: Margie, who escapes to Paris in 1924 before forced into marriage – and her 30-something year old granddaughter Madeleine, who longs to escape her confining life in 1999. While I am only about three chapters in this current novel, I am intrigued by the historical references to the building of the Eiffel Tower and the fictional romance that takes place between two unlikely people. What book are you currently reading? I’m always looking to add more fiction to my ever growing TBR list. For the past several years I have focused on such words as Balance, Peace, and Delight. My word for 2016 was FUN… which proved ironic since I broke both humerus bones within the first six months. My Word for 2017 is NOURISH: to supply what is necessary for life, health, and growth; to strengthen, build up, and promote. 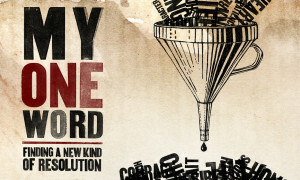 I love the sound of the word. The long, lingering vowel remind me to slow down and rest. The quiet “sh” at the end literally tells me to be still. I need to rest in BEING and not focus so much on the DOING. I like your word for the year. It's unique, I think. Good luck on meeting your goals—that is, intentions! I love the cover of To Capture What We Cannot Keep. I can see why you picked it as your first read, given it's subject matter. Good choice! I really like your word for the year, Molly. I will be revealing mine later in the week as I wasn't quite prepared to do it today. I wish you luck with your goals this year! Have a Happy New Year! I love your word of the year. Quite apropos for you and sure you'll do well. I took an overly long break from blogging myself and trying to get back into it. So we'll both keep on swimming. 🙂 Happy new year, doll! As mom's, we spend so many years nourishing everyone else, both literally and figuratively – what a great idea to focus on that for yourself! I really like the idea of intentions rather than resolutions. I don't have a word of the year, but I'm definitely going to have a think about what might be a good one to focus on during the coming year. I like how you analyzed how your One Word sounds too…and resting in being. Something we all need to do, from time to time, if not always. You selected the same amount of books to read as me: 52. I think a book a week is about perfect. If I get behind, I can try to catch up. Best wishes to you & much happiness in 2017. I have not been around for a long time, Molly, but wanted to stop by and see how you were. I love your word – nourish. I seem to hear a little voice saying 'nourish the soul and the rest will follow'. My word is 'breathe', as in stop and take a deep breath. I'm working at doing that. Happy 2017 to you! Look forward to seeing how your year goes.